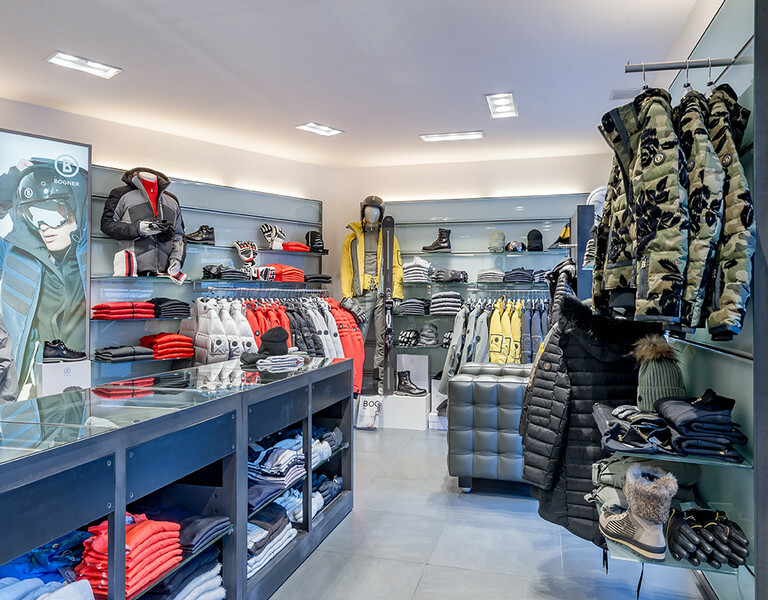 Attention all Bogner fans: at the Riml Sports store in the center of Obergurgl we have a whole floor dedicated to all things Bogner. 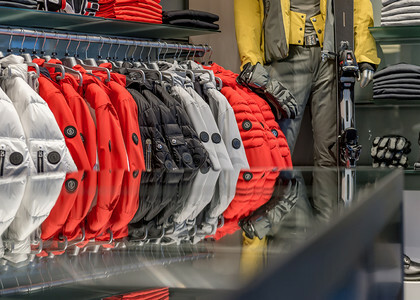 From stylish winter jackets to warm gloves and functional base layers, our Bogner store is the place to be for fans of upscale sports fashion. 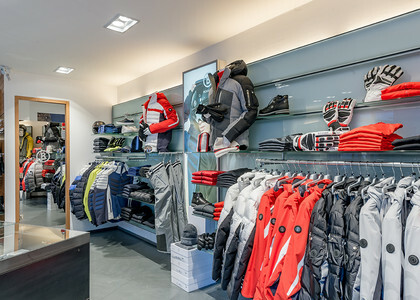 On th top floor, Riml Sports Obergurgl offers an extensive assortement of high-quality brands, with items ranging from trendy winter jackets to chic sunglasses and cool ski googles. 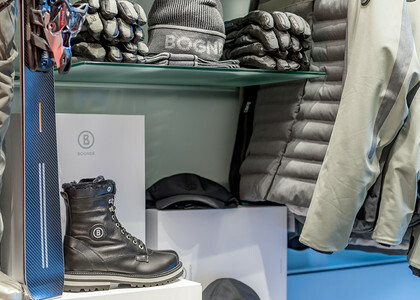 Browse our vast selection of high quality Bogner appareal in our shop in Obergurgl, try on your favorite pieces in a relaxed and friendly atmosphere an treat yourself to something new. Try on your favorite pieces in a relaxed and friendly athmosphere and treat yourself to something new. The Riml Sports shopping experiences is topped off with first-class service and expert advice. Let our knowledgeable sales team show the latest in skiing jackets, get advice on the season's hottest slope wear, or take a break from all the shopping in our in-store coffee nook where you can kick back and relax.